Hardening Car The hardening car, loacated at the autoclaving seation, is used for the material conveying in the AAC production line. The separating operation is carried out by the separator, which is made up of the separating device and lifting device. Once the packing operation is started, the pallet together with the AAC panel moves along the packing line. 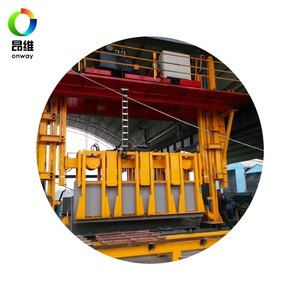 The Hollowconcrete block machine can produce many kinds of solid and hollow brick in different specifications. The electric cabinet housed in the concrete block machine automatically controls the brick production. Thru inovation, we keep providing the new products and improving the old to help you better win the market. Heavy duty machine structure and wear resistant moulds; B. The service life three times longer than normal ones. 2. One host machine can be with one set free mold as present. Pest Resistant: With solid wall construction and finishes, there are fewer if any, cavities for insects and rodents to dwell in. Resulting into reduction in steel (up to 27%) and cement (up to 20%) structural cost savings. Though initial installation cost may remain same AAC blocks reduces operation and maintenance cost drastically. Care is taken to run the slurry storage tank all the time, so that is never settles down the particles. The mixture also pours the mix into the Mould carried n the mould cart. Lime: Active powered lime is a requirement for giving the real aeration to the product. 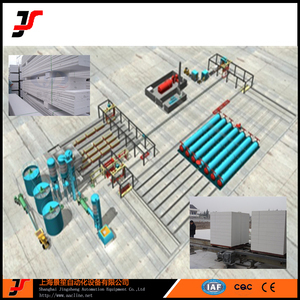 1 with competitive price AAC Block production line for NO. 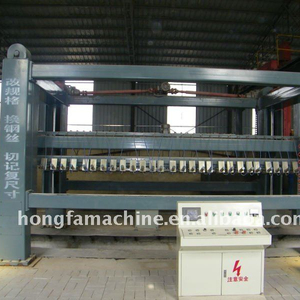 1 with competitive price AAC Block production line for NO. 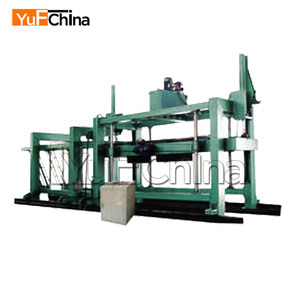 1 with competitive price AAC Block production line for NO. The production line cludes raw materials storaging , processing , product finishing and conservation . How can I feel your product intuitively9 We will send you the video , please get in touch with us. 5. Does the price includes the moulds9 Yes, the price includes one set mould. 2 YRS Shandong Kaidong Construction Machinery Co., Ltd.
5 YRS Linyi Dongyue Imp.& Exp. Co., Ltd.
10 YRS Qingdao Kingway Construction Co., Ltd.
13 YRS Jiangsu Teeyer Intelligent Equipment Corp., Ltd.
One set cutting machine consists of one horizontal cutter, one vertical cutter, one cutting cart, and specific rail for cutting cart. 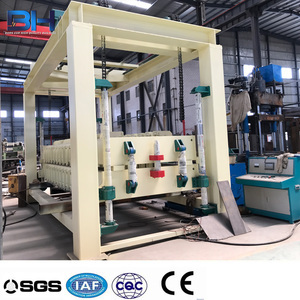 When the cake arrives vertical cutting section, it will be jacked up to reduce vibration and cut on vertical cutting machine. The air cylinder tension device drives the cutting wire to do reciprocating motion, and thus form transverse cutting action. Alibaba.com offers 2,537 aac block making plant products. About 93% of these are brick making machinery, 2% are dry mortar machines. A wide variety of aac block making plant options are available to you, such as concrete, sand, and cement. 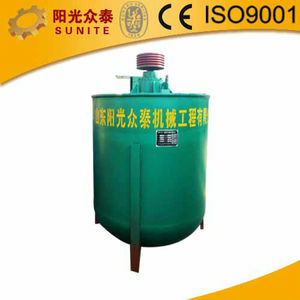 You can also choose from autoclaved aerated concrete, hydraulic pressure, and vacuum extruder. 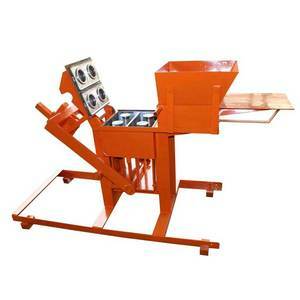 As well as from hollow block making machine, interlock block making machine, and paving block making machine. 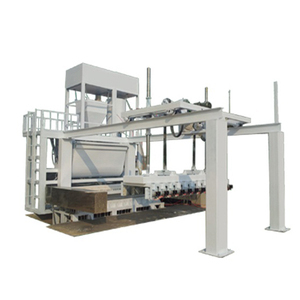 And whether aac block making plant is brick production line, brick cutting machine, or brick molding machine. There are 2,537 aac block making plant suppliers, mainly located in Asia. The top supplying country is China (Mainland), which supply 100% of aac block making plant respectively. 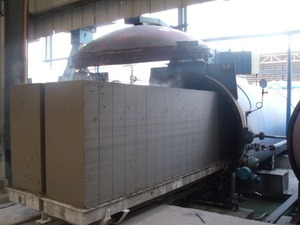 Aac block making plant products are most popular in Domestic Market, Eastern Asia, and Africa. You can ensure product safety by selecting from certified suppliers, including 2,222 with ISO9001, 188 with Other, and 113 with ISO14001 certification.